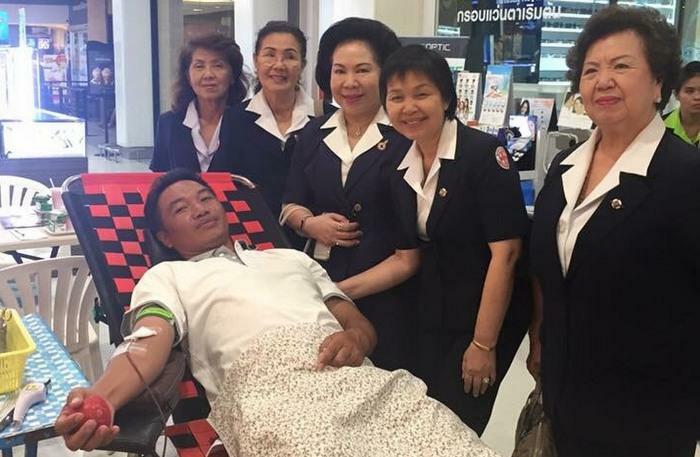 PHUKET: The Phuket Regional Blood Center (PRBC) is calling for blood donations from donors with blood type O-positive to help replenish stocks for use at local hospitals. Supplies of O-positive blood are down to just 20 units (pints) at the center, said PRBC Chief Pornthip Rattajak. The blood bank aims to maintain a daily minimum stock of 200 units of A, B and O blood types, and 20 units of Rhesus-negative blood. “The O-positive blood type is common among Thais and foreigners and is highly versatile, as it can be given to patients with any blood type, as long as the Rh-factor matches. That’s why O-positive blood stocks become depleted more quickly than others,” said Ms Pornthip. The PRBC welcomes blood donors of of all blood types. However, some restrictions apply. Donors must be aged 17 to 70 years old, but first-time donors can not be over the age of 55. However, 17-year-old donors must have parental permission in order to donate, and donors aged 55 and over must first get their doctor’s approval. “Additionally, donors must be healthy, weigh at least 45 kilograms and not have been pregnant in the past six months,” Ms Pornthip added. Anyone wishing to donate blood can do so at the PRBC in Phuket Town during the following times: Mondays, Wednesdays and Fridays from 8:30am to 4:30pm; Tuesdays and Thursdays from 8:30am to 8pm; Saturdays and Sundays from 9am to 3pm.